We will be doing complete coverage of iPhone 4 on TechzTalk today. 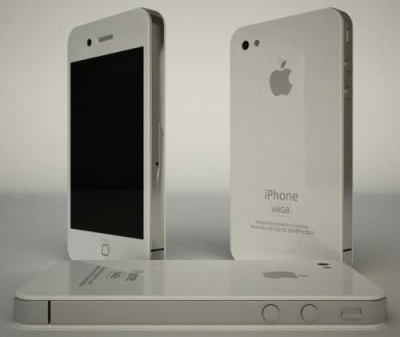 Visit the website for in-depth coverage of iPhone 4. Steve thanks everyone and walks off the stage. That all from the keynote. Steve is introducing each iPhone team. He says ""I'm really proud of all you guys, awesome job. This is our new baby, I hope you love it as much as we do." Steve is now talking about values of Apple. And how hard they work for hardware and software integration. He thanks all of the teams at Apple for hard work over last 18 months of iPhone 4 development. iPhone 4 will ship in 5 countries on June 24th and 18 more countries will be added in July. Now Ad video for iPhone 4. Steve is now showing a video about iPhone 4 development. iPhone OS 4 upgrade available for iPhone 3GS and 3G owners on 21 June. Apple will launch iPhone 4 in 88 countries by September. iPhone 3GS is now available for $99. Now iPhone 4 price and availability, two colors Black and white, two models 16GB $199 and 32GB $299. AT&T is making an incredibly generous upgrade offer allowing iPhone 3GS customers to get the new iPhone 4 if they bought the iPhone3GS when it was launched last year. The Phone will go on sale on June 24th. FaceTime demo is over Steve talks about various features of FaceTime. The app is based on open standard like h.264, AAC, SIP, STUN, TURN, ICE, RTP and SRTP. Apple going to standards body tomorrow to make FaceTime an open industry standard. Steve is showing a video with various people using FaceTime. Steve says FaceTime will be WiFi only in 2010 "Need to work a little bit with the cellular providers for 3G." The video call will only work on WiFi, iPhone 4 to iPhone 4. There is no setup required. You just make a call and switch to FaceTime. Apple is calling the video call feature "FaceTime". The video quality is good, there is some lag, Steve blames all the WiFi connection in the hall. Lights are back on and the Steve is now showing a video call with Jony Ive. Steve says Apple will have 48% of mobile ad market after only 8 weeks of selling iAds. iAds will launch on July 1st. Already $60 million have been committed to iAds for second half of 2010. The Ads are really cool and they look more user controlled. Then forced on user. User can close the ad anytime by clicking the X on the top. He is now showing Nissan ad. He says Clicking the ad loads a brief video, gives user the option to interact without leaving the application. It works like flash but are full HTML5 with MPEG4 video. Nissan, Citi, Unilever, AT&T, Chanel, GE, Liberty Mutual, State Farm, Campbell's Soup, Sears, JCPenny, Target, Best Buy, DirecTV, TBS, Disney and others have signed up for iAds. 60 percent of iAds revenue goes to the developer and is paid via iTunes connect. (This has changed it was 70% before, but now its similar to what others offer). He says iAds "combines the motion of video with interactivity of the web." It keeps user in the app without taking the user to a random website when they click the ad. The three stores have over 150 million accounts making it the biggest online store. Now iPhone has three stores iTunes, App Store and iBookStore. Now shows PDF on iBook app, flips pages and shows smooth animation. He shows how selections are highlighted and how notes can be added to the books. Steve is now demoing the iBook store on iPhone. iBook store across iPhone, iPod touch and iPad will sync wirelessly. iBook Store is coming to iPhone with PDF integration. PDF in a mail message goes right to iBooks in your PDF shelf. iPhone OS 4 goes gold master today. 100 millionth iPhone OS device will be sold this month. Apple is adding Bing as a Search option to iPhone, Google will still remain the default. He now talks about Folders. Steve says the new iPhone OS 4 has multitasking, folders, retina display integration, enhancements to mail, camera and much deeper enterprise integrations. He is showing multitasking demo by playing music, then opening mail and going back to homescreen to create folder. Steve quotes Google's Larry Page "On Android software running in the background, that just sort of exhausts the battery quickly." Steve says their are over 100 new features. He starts with multitasking. Apple could have password protected the WiFi network, Why keep it open for access. Steve is back on the stage and asking everyone to turn off WiFi to continue with the demo. The App will be available on App store for $4.99. You can export to 360p, 520p and 720p. It looks professionally done. The clip even renders on the iPhone. And as the camera is backlit low-light video recording is also very good. It has direct recording to timeline, pinch to scale the timeline, animations, titles, transitions, Themes and support geolocation. Randy Ubillos, chief architect of video applications is on stage demoing iMovie for iPhone. And the app is awesome. Steve introduces iMovie for iPhone. The video software offers one share click. You can record HD video, edit it and share it straight from the phone. The camera can record HD video with 720p resolution at 30 frames per second. Showing photos taken with the camera, says the quality is incredible. The size of pixel on sensor is 1.75 micron, it offers 5x digital zoom with tap to focus feature. Feature 5 - New camera system. 5-megapixel camera with backside illuminated sensor and LED flash. With Gyro, iPhone 4 has five sensors including accelerometer, compass, proximity and ambient light for better interaction. He is doing demo of the new Gyroscope, rotation of 3D objects is very smooth. It looks better than on many gaming devices. Gyro + accelerometer = 6 axis for better motion sensing. Fourth features - Gyroscope, a 3 axis gyro for pitch roll and yaw. It has 32GB storage, and 7.2Mbps HSDPA support. With bigger battery and A4 chip the new iPhone 4 offers 7 hours talk time, 6 hours browsing on 3G, 10 hours on WiFi, 10 hours of video playback, 40 hours of music and 300 hours of standby. He says the A4 chip is incredibly small, the biggest component in iPhone is battery. Feature 3 - iPhone is powered by Apple A4 processor. Steve believes that the new display will set the standard for next 7 years. Someone shouts "Try Verizon". Steve stops the demo and starts talking about the screen. 326 ppi, 800:1 contrast ratio, IPS panel. He adds " You can't make a OLED display with this resolution". He is loading NYTimes, but its loading very slowly. He is now switching to backup and now on AT&T network. It not working error messages coming up. He is comparing iPhone 4G screen with iPhone 3GS screen. He says Apple has to get special projectors to show just how good this screen is. Steve is doing live demo now. Steve says the display has 326ppi. Human retina has 300ppi limit when held 10-12 inches away from the eye. External design was feature one and now the feature two is new "Retina Display". The new display technology increase pixel density by 4X. Steve says "When you hold this in your hands, it's unbelievable." The phone uses stainless steel for strength and glass for better radio transmission. The glass is optical quality and scratch resistant. He says "Brilliant engineering, uses band as part of Antenna system." Thinnest smartphone on the planet. It has camera with LED flash, noise cancellation mic. Steve is now showing three black seams (band) on the iPhone. The front and back is made of glass it just 9.3mm thick, 24 percent thinner than current iPhone. "This is beyond a doubt the most precise things, one of the most beautiful things we've ever made." The new iPhone is the biggest leap since original iPhone and it called "iPhone 4". "This is really hot." iPhone has 58 percent of US browser market share. Steve says iPhone re-invented the phone "It's hard to remember what it was like before the iPhone." And its Android Vs iPhone. Q1 2010 iPhone has 28 percent market share Android was at 9 percent. Steve says 5 billion apps have been downloaded and Apple has paid over $1billion to developers. (So basically each download is resulting is 20 cents for developers). Steve is back on stage. First 30 minutes have gone to apps. The game will come with tracks from Queen, Rolling Stone and Rise Against. Gameplay is similar to classic game with better graphics. Now Actvision Senior VP Karthik Bala is on stage. He is talking about Guitar Hero. The new Guitar Hero for iPhone shows 3D rockstars that are fully customizable. Farmville app will come by end of June. The applications adds touch interface optimization and push notifications for iPhone. He says Farmville has over 70 million active users. Now he is demoing Farmville for iPhone. Its same as on the Facebook. It looks like Apple doesn't have much to show today. Zynga CEO Mark Pincus is on stage. he is talking about Zynga games and claims more people play Zynga games they watch season finales of Lost and 24. Netflix app demo time. Showing functionality like instant quene and recommendations. Talks about Ebay app and functionality it brings to Ebay customers. 10 million Ebay apps downloaded and over $600 million in volume in first year and estimated 1.5-2 billion this year. 95 percent are approved in 7 days. However the top three reasons for rejection are - 1) Doesn't function or do what developer says it does. 2) Use of private APIs. 3) They crash. App Store has over 225,000 applications and 15,000 apps are submitted every week. Steve says Apple supports two platforms HTML5 - fully open platform and iPhone App platform "curated platform". Showing iBook application and shows PDF capabilities of the iBook app. Navigation of PDF works like regular ebook. 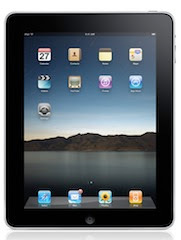 US share of iBookStore is now 22 percent in just 8 weeks, over 2.5 million ebooks sold. iPad will be available in 19 countries by end of July, over 8,500 native iPad apps available, 35 million iPad apps downloaded so far. Steve is now showing games available on iPad. He showing a video about iPad launch in various countries. Starts with iPad update. Calls it magical again, sold over 2 million and 1 iPad sold every 2 seconds. Steve welcomes everyone he talks about WWDC being the biggest ever with over 5,200 attendees. Lights are down. Music is going down. And Steve is on stage. The friendly Apple announcement "Welcome to WWDC 2010. Please turn off your cellphone." The keynote is about to start. Five more minutes to go everyone settling down. Please click on the Digg link to help us. Thank you. We are in the hall, 20 more minutes to go. Everyone is talking about new iPhone. Most believe that it will be same phone that Gizmodo revealed in April. Still more than an hour to go. Here are some article related to WWDC that you can read while you wait for the event to start. New Data Plans from AT&T: Designed to Counter Jump in Data Consumption with New iPhone? 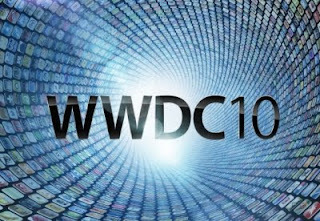 Steve Jobs will be doing inaugural keynote at Apple’s Worldwide Developers Conference (WWDC) 2010 on Monday, June 7th in San Francisco. It is believed that Steve will announce the next generation iPhone along with few other product updates at the event. We will be doing live coverage of the event bring you minute-to-minute information from the event. Join us on live.techztalk.com at 10AM PST on Monday June 7 for live coverage of WWDC keynote. Apple is going to introduce their fourth generation iPhone at WWDC keynote on June 7th. And leaked prototypes of the upcoming iPhone along with iPhone OS 4.0 announcement by Apple have revealed quite a few details about the handset. Both hardware and software of the iPhone will see some much needed improvements, as well as some new features that might help keep the iPhone ahead in the smartphone race. Earlier this year, PC World did wireless network speed test in 13 cities and found that AT&T had the fastest average download (1410 kbps) and upload (773 kbps) speeds. Now, PC Mag has conducted similar network speed tests in 18 cities and the results aren’t very different. At Computex 2010, Intel introduced first dual core Atom processor codenamed “Pine Trail” for netbooks along with “Oak Trail” platform optimized for tablets and sleek netbook form factors. 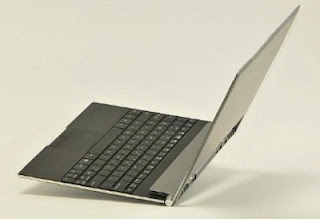 Intel also demoed the world’s thinnest netbook running on the upcoming Pine Trail dual core Atom processor. 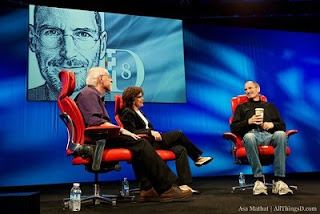 Yesterday, at D8 conference Walt Mossberg and Kara Swisher of The Wall Street Journal interviewed Apple’s CEO Steve Jobs. 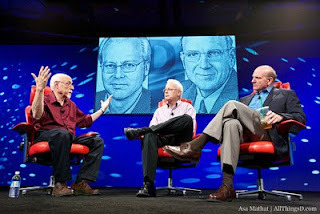 The interview lasted for more than one and half hour in which Steve talked about origin of the first iPhone, Adobe Flash, restrictions on analytics, Television, Gizmodo controversy, Google and AT&T. Some of the highlights of his interview along with videos are as follows. Even though every blog is reporting that Qualcomm has started shipping dual core Snapdragon chipset, the truth is Qualcomm has started sampling first dual core Snapdragon chipsets, and not mass production or shipment of the chipset. In fact, Qualcomm is not even showing the chipset to the media at Computex 2010. Nonetheless, it is a very important development as the new chipsets are the first sampling dual core chip based on next gen ARM Cortex A9 architecture. Asus executives started talking about tablets at least 6 months before iPad was announced in January, but it looks like Asus tablet will come to the market at least six months after iPad shipped in April, according to Asus announcements at Computex 2010. 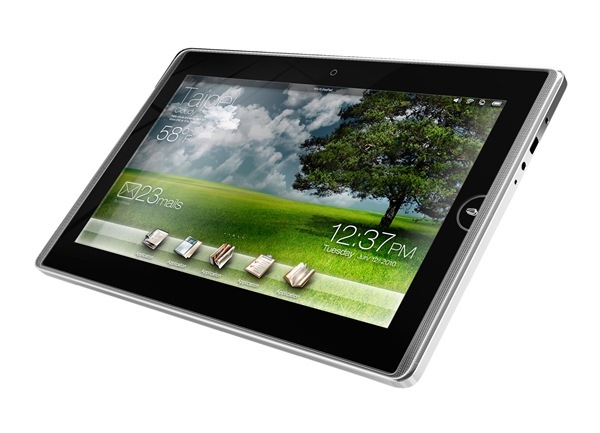 Asus introduced three tablet models including 10-inch Eee Pad EP101TC, 12-inch Eee Pad EP121 and Eee Tablet. Intel today previewed their first 50-core processor codenamed Knights Corner. 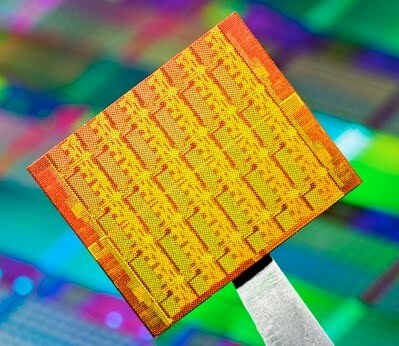 The new 22nm processor is based on Many Integrated Core (MIC) architecture that integrates many small X86 cores to work together on a single chip. The new MIC architecture is derived from technologies used in 48-core single-chip cloud computer and now-cancelled Larrabee graphics card.